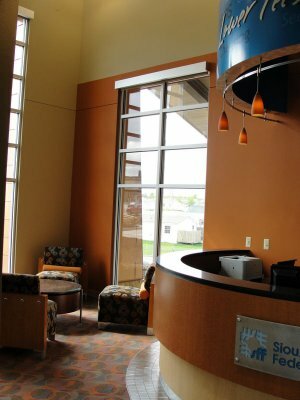 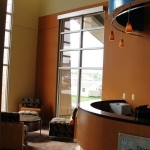 Spring of 2010, Creative Surfaces helped with the opening of this new branch on eastside of Sioux Falls by building and installing the casework at Sioux Falls Federal Credit Union. 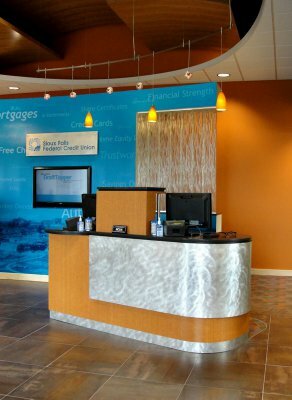 For this project, we used a combination of Wilsonart plastic laminate “Kensington Maple”, and Formica plastic laminate “Figured Annigre” with Chemetal “Nomadic Aluminum” for accent on the greeter desk, remote teller stations and cabinets. 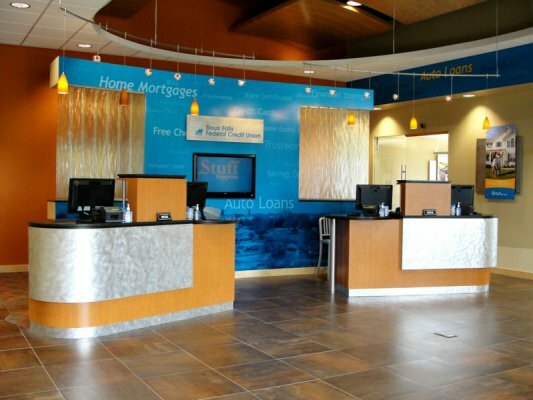 For the countertops, we used Silestone’s Eco “Terra” on all the desks and Wilsonart “Sable Soapstone” on the customer work station. 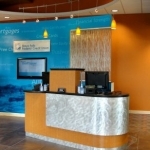 Notice the curved soffit above the greeter’s desk…it too was built and installed by our creative team.